Thank you for choosing to support Crested Butte Nordic, a non profit organization whose mission is to provide individuals of all ages and abilities the opportunity to learn, enjoy, and improve in the sports of Nordic skiing and snowshoeing. K Club members are part of a select and vital group of donors that contribute at least $1,000 each year (1k). In exchange, members receive benefits such as season passes, lessons, and yurt dinners. This year, members will also receive monthly updates with special offers, exclusive events and opportunities within Crested Butte Nordic and the greater Crested Butte community. Our K Club members recognize that CB Nordic is much more than exquisitely groomed trails winding through spectacular terrain, in one of the most remarkable communities in Colorado. 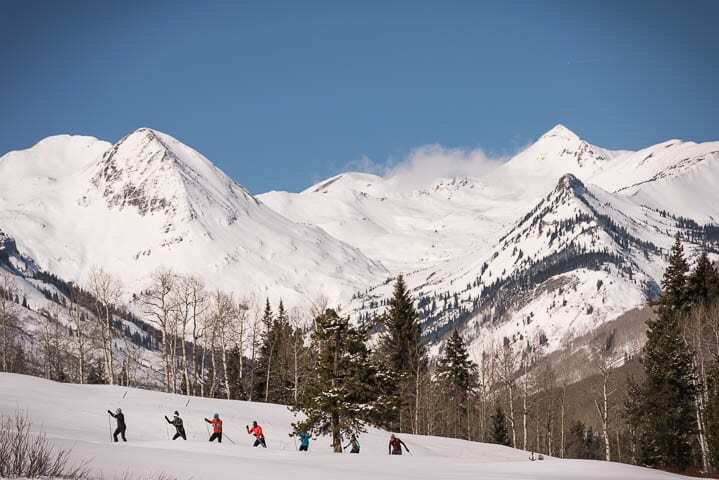 Our events and programs encourage healthy lifestyles, fitness and occasionally extreme athleticism, both for the residents of Crested Butte and visitors from afar. Our donors know that their contributions keep our youth programs affordable, and everyone under the age of 16 can ski for free with CB Nordic. We have many new projects on the horizon, including a new Nordic Center, additional grooming opportunities, equipment updates, expanding our outreach and developing our competitive youth programs. Your support is more important than ever. We look forward to welcoming you to the K Club! A 1k membership level entitles the donor to two season passes and two tickets to our holiday yurt party, and free monthly KClub clinics with Murray Banks. A 2k membership includes all of the benefits of a 1k membership and a yurt dinner for two people. A 5k membership includes all of the above and four free event entries. A 10k membership includes all of the above and an exclusive CB Nordic jacket. We are happy to help you customize a benefit package to suit your lifestyle and needs. For example, instead of two season passes, we can give you a 10-Punch pass and four lessons. Please use the donation note field below to indicate any customization you desire.